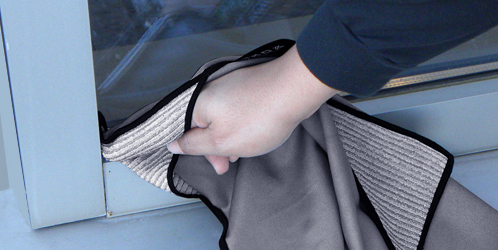 Simply put, microfiber is one of the most important developments in cleaning technology in years. 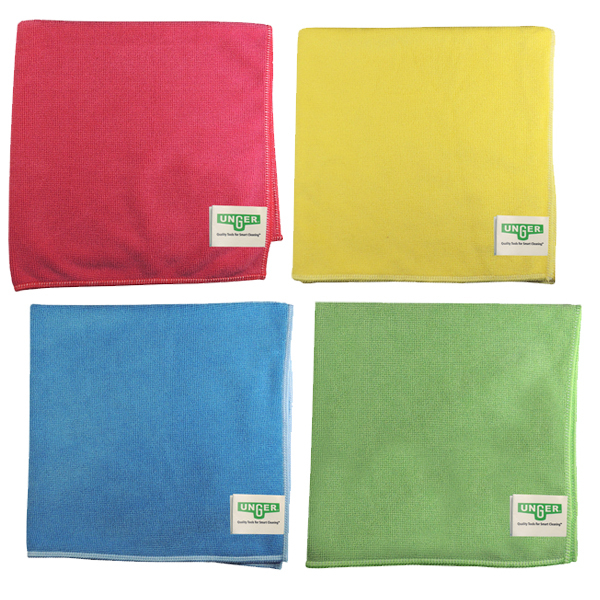 Microfiber cloths can help you lower the risk associated with harmful contaminants, improve your facility’s image at the lowest possible cost and reduce occupant complaints. 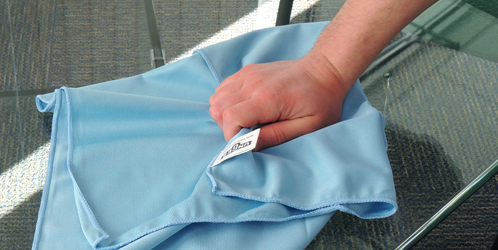 As the name states, fibers are repeatedly split in the manufacturing process to make microfibers. 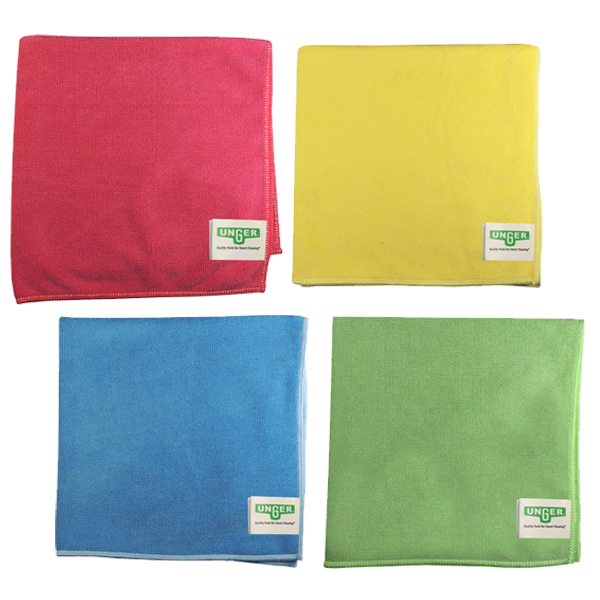 Microfibers are knitted into a soft, reusable cleaning cloth that is 30 times finer than cotton. 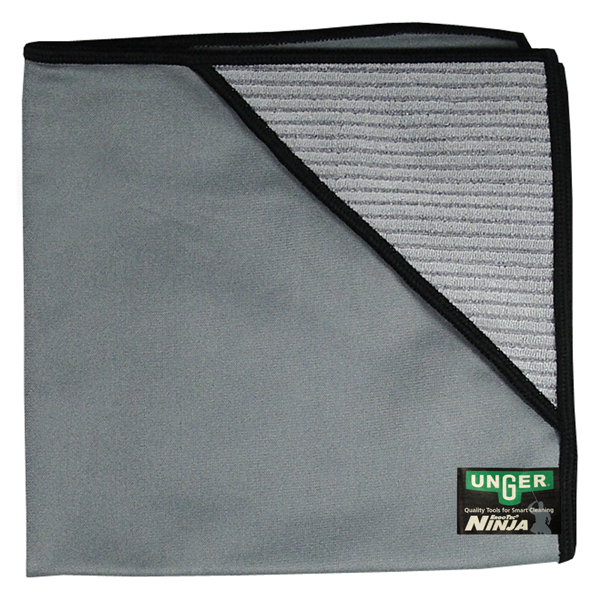 The microfiber’s cleaning surface is packed with filaments that trap soil, remove bacteria and absorb moisture for streak-free cleaning. 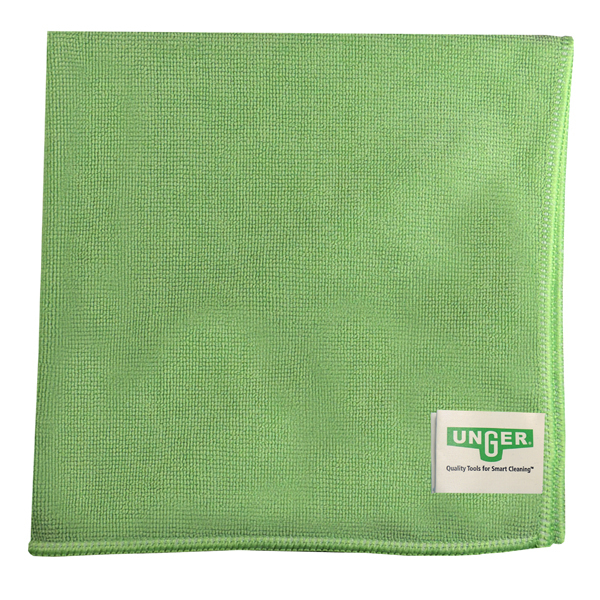 Unger’s MicroWipe microfiber cloths are part of our SmartColor Cleaning System that combines superior technology with the productivity and sanitation benefits of visual coding. 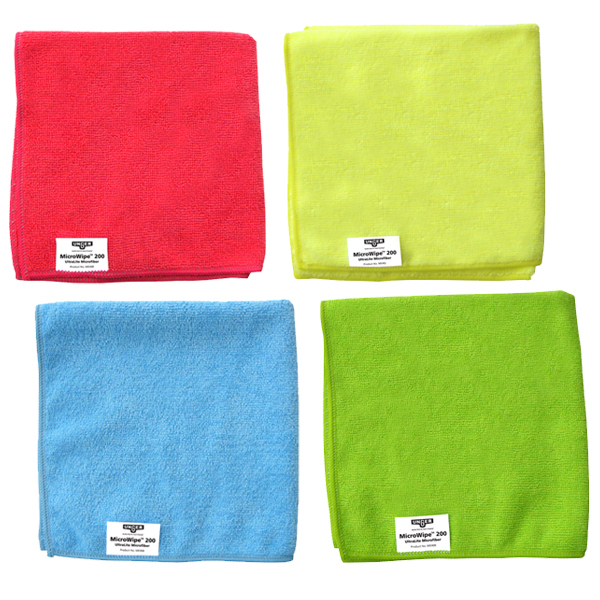 Workers can use red microfiber cloths in the restroom, green in the kitchen and food service areas, yellow in specialty areas and blue for general and light office cleaning — cleaning managers can customize a color code system for the unique needs of their facility. 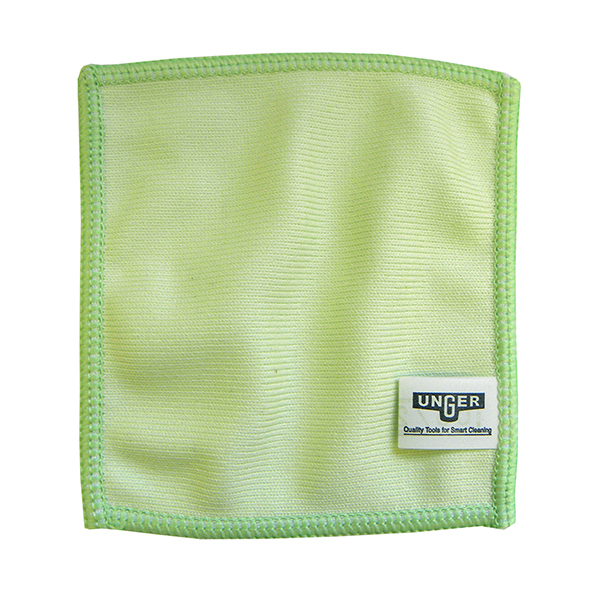 The color coding system reduces cross contamination, improves performance and leads to cleaner facilities. Care labels provide helpful information that can save you time and money. 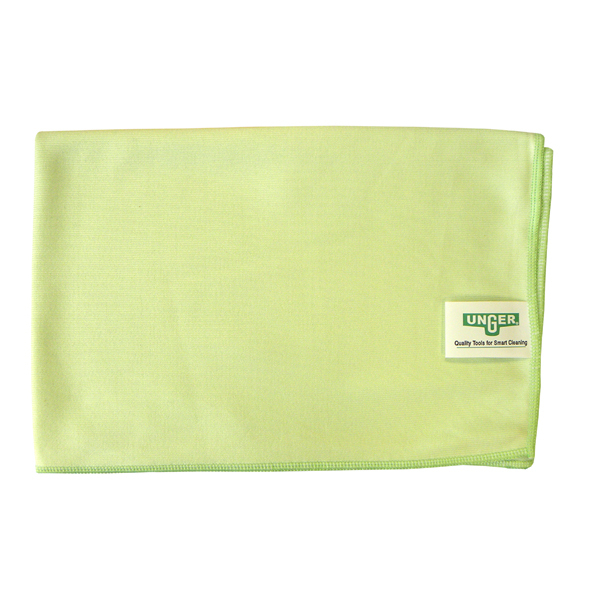 Cleaner, fresher MicroWipe microfiber cloths result in longer usage life. Receive exclusive offers, new product information and professional cleaning tips. 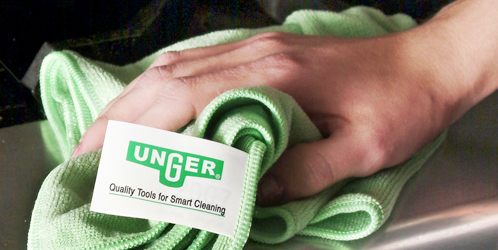 © Unger Global. All Rights Reserved. See our Products in Action!